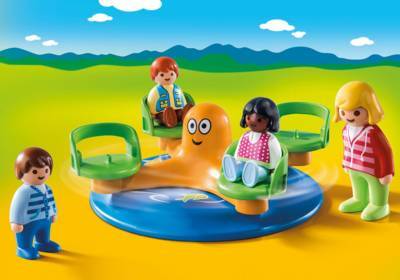 - On the carousel, 1.2.3 figures can be fixed in the four seats. - The individual seats can be rotated without restriction so that the figures can look in any direction. - The carousel is turned by grasping the central knob (head of the octopus) with your fingers and spinning. Can be rotated in either direction.